As rebuilding the country’s infrastructure looks to be an area President-elect Donald Trump and Democrats can agree on, lawmakers from both parties are trying to make sure the conversation includes digital infrastructure. California Democratic Rep. Ted Lieu said digital infrastructure is as vital to the country as roads and bridges. “From hardening our electric grid to making sure we put broadband out in all communities in the U.S., we need to invest in digital capacity as much as in concrete,” Lieu said. 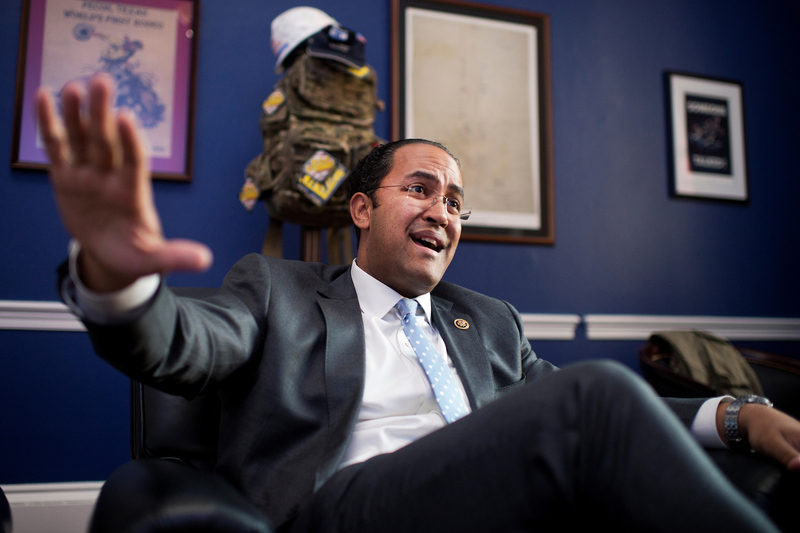 Texas Republican Rep. Will Hurd said increased access to broadband can help improve health care. “When we want to talk about telemedicine, if you don’t have cell phone service or broadband, you are going to have some problems,” Hurd said. Hurd, whose district encompasses nearly half of the U.S.-Mexico border, also said fiber optic cables could improve homeland security. “There’s some real opportunities to use that on the border. Using that tech on fiber tech is more effective than building a physical wall,” he said. Accusations by the intelligence community that Russia was responsible for interfering in the U.S. elections highlight the need for hardening security systems. Lieu pointed to the 2013 hacking of a dam in New York by Iranians as an example of vulnerabilities. Trump has proposed an “America’s Infrastructure First” policy that would be funded by public money and private investment to rebuild and modernize the country’s transportation, water, electricity, telecommunications and security systems, and Democrats have signaled that they would be willing to work with him on a package. Hurd said he has not yet spoken with Trump’s incoming administration about their plans, but the House Homeland Security Committee, on which he and Lieu serve, is working on legislation. Modernizing the country’s infrastructure will have a big price tag. Lieu points to the American Society of Civil Engineers’ Report Card for America’s Infrastructure that shows the U.S. would need to invest $3.6 trillion by 2020 just to get a passing grade. But conservatives are already warning the incoming president that they won’t allow whatever package he proposes to add to the deficit, which will mean cutting other funding to pay for it. Lieu is hoping Trump can sell the investment to his own party. Larry Downes, project director at the Georgetown Center for Business and Public Policy, said a digital infrastructure plan would need a more viable source of funding than programs like the Lifeline program, which provides phones to low-income users and is funded through a tax on the voice call part of phone bills. “The most direct way is a tax on broadband service,” he said, but that’s a tough sell politically. Hurd also suggested the North American Development Bank, an institution capitalized by both the U.S. and Mexican governments, as a potential model for financing projects. “They do a mix of public and private funds to do many of the projects that they sponsor and work on,” he said.